Discover the hidden gems of Scandinavia & Russia through the Baltic Sea aboard the magnificent Celebrity Silhouette. 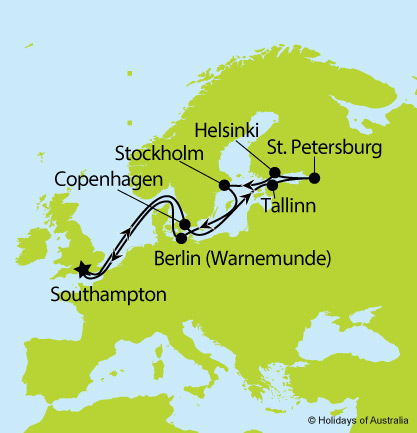 14 nights aboard Celebrity Silhouette cruising to Scandinavia & Russia from Southampton with port calls in Copenhagen (Denmark), Tallinn (Estonia), St. Petersburg (Russia), Helsinki (Finland), Stockholm (Sweden) and Berlin (Germany). Includes on board meals and entertainment. Itinerary & pricing correct as of 22 August 18 and is subject to change or substitution.